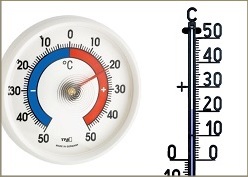 Inspired by the Six thermometer invented by James Six in 1782, the very first TFA product was a maximum-minimum thermometer which was patented by Heinz Dostmann. Production began in Kreuzwertheim in 1964. 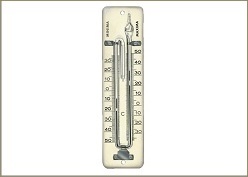 In the 1960s, simple household and commercial thermometers were added to the product portfolio, which was further expanded in the 1970s to include barometers, hygrometers and compasses. Many TFA products have gone on to become genuine classics and continue to be produced today in a virtually unchanged format. With its multiple patents and product ideas, TFA qualified as a weather specialist. 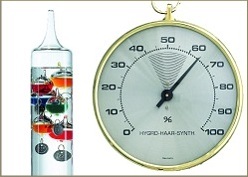 In 1977, a patent was registered for a high-precision synthetic hair hygrometer. In 1982, TFA launched the Galileo Galilei thermometer – this glass cylinder with its coloured bubbles would become a cult object in the 1980s and 1990s. In the mid-1980s, the first electronic weather instruments were introduced to the market and impressed with their precision and easy-to-read digital display. TFA took the bold step and began the production of digital thermometers at its site in Reicholzheim. 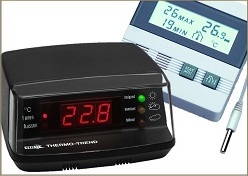 TFA’s innovative radio–controlled thermometers with wireless transmission of temperature readings have become best sellers. Intelligent forecasting systems further improvedthe accuracy of weather forecasts. 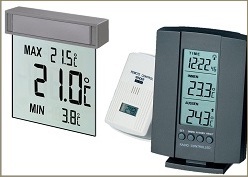 The first digital window thermometers were designed and well received on the market. 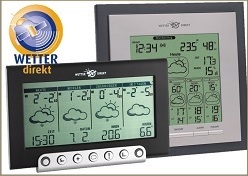 TFA developed WETTERdirekt technology in 2007 (only for Germany): Professional forecasts are transmitted directly to the weather stations multiple times a day using radio and satellite technology. In 2012, the weather stations were further developed to incorporate weather warnings. 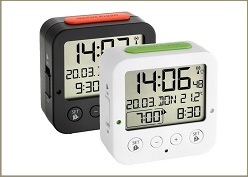 Alarm and wall clocks expand the product range. The smartphone opens up new technologies: Small measuring tools that can be easily operated by apps on mobile phones, and local temperature and humidity values can be checked from anywhere in the world via the Internet. TFA is highly successful with its own clock models and is now firmly established in the market.